Julie joined NZCER as an Education Adviser and Researcher in 2017. Julie is an experienced mathematics facilitator and primary teacher. For the last nine years she has worked in a range of capacities delivering mathematics professional learning support in schools and clusters. She has strengths in mentoring and coaching leadership, effective assessment practices, and strategies to accelerate learning outcomes. Julie has worked part-time for four years on an inclusive practices project with the Ministry of Education. 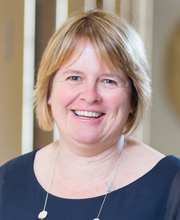 Julie led the development of Inclusive Practice and the School Curriculum, a resource developed to build professional knowledge and create a shared understanding of inclusive practice within the New Zealand Curriculum.